Occupational Therapy. Motherhood. Healthy Living. I have been wanting to try Cutting Box Surprise for some time now, and I don’t know why I waited so long because it was 1) awesome and 2) took way less time to set up than I thought it would. 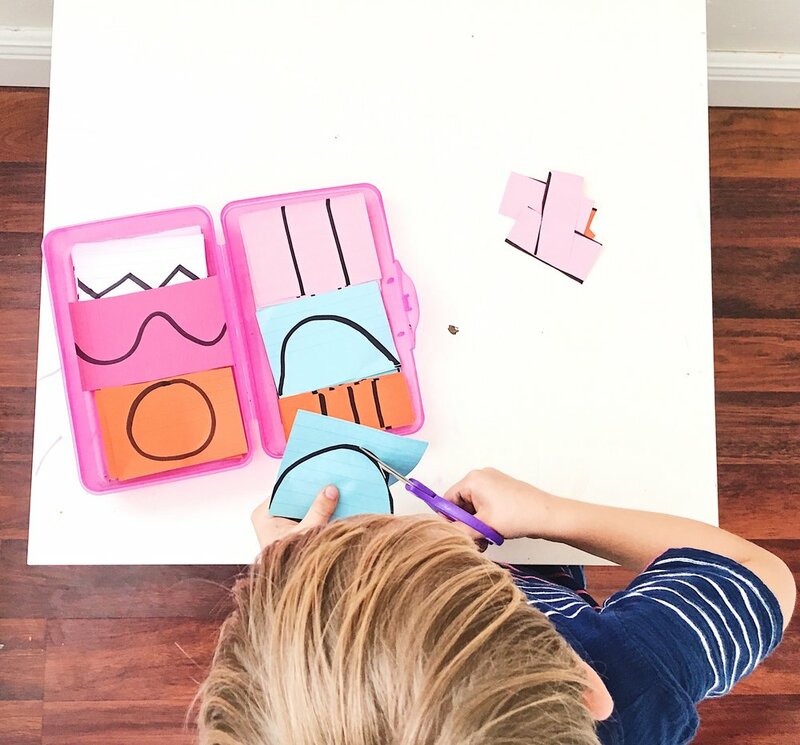 My son loves to cut and is now at the point where he can finally maneuver curves and simple shapes so this was the perfect fun learning activity for him. 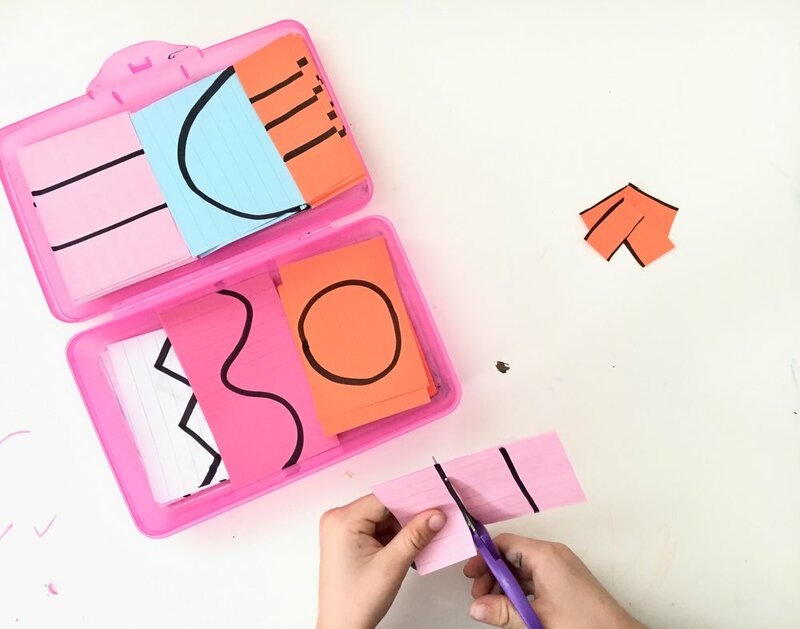 Scissor skills can be tricky for some kids, as it is such a multi-faceted skill that involves so many different areas of the brain and requires a lot of coordination. I have seen parents, teachers and caregivers become frustrated themselves when trying to teach cutting skills to their children and I totally understand why. When approaching cutting skills, its really a matter of breaking it all down into simple steps and teaching them the skills in a progressive and sequential order. Here are some of my favorite tips and tricks for teaching cutting skills: **Start with only 2 or three skills a day as to not overwhelm or frustrate the child. Then, learn how to snip on an index card. Once cutting on a line is mastered, you can experiment with diagonals, squares, curves, and then circles. Last and not least, if you or the child becomes frustrated, take a deep breath + take a step backwards (go back to step 1 or 2) or try again tomorrow. I hope you all found this helpful! Enjoy cutting with your littles!